Today was our first full day in Venice, and we spent much of it recovering from travel. Mama and I did get to enjoy our lovely garden — and Paisley loved it too! The sounds of Venice are so different from home. Church bells ring out in an as-yet-undistinguishable pattern. Boat traffic included various sized speedboats, a giant boat crane, and a gondola. We’re situated in a corner where two canals meet so the drivers call out to each other in lieu of traffic signals. The bridge outside our window is a popular walkway for both tourists and locals. Multi-lingual conversation and music from the nearby restaurant fill the air. Water splashes in the canals as men sitting on lawn chairs in speedboats zoom past. At nearly midnight, it is now mostly quiet. As I type, I’m listening to the water resettling itself in the wake of another boat. 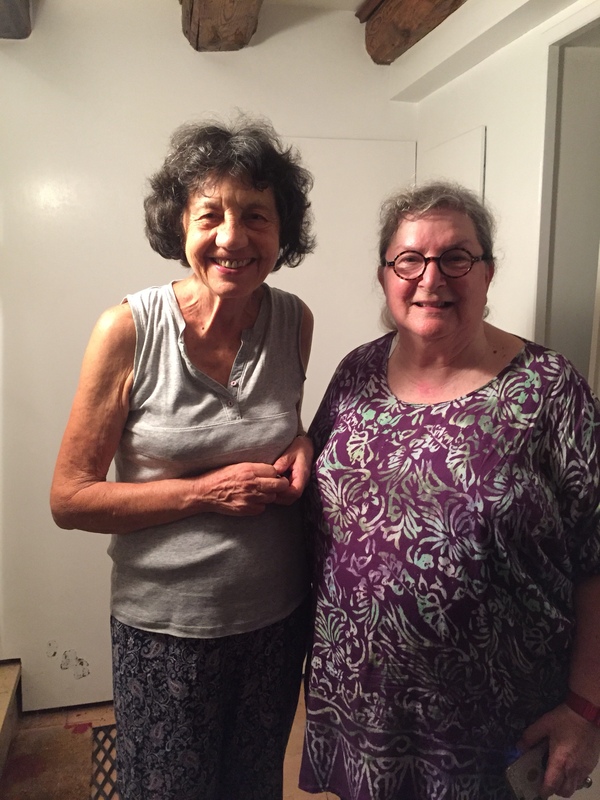 Earlier this evening, Mama and I ventured out and surprised our friend Elisa with a quick reunion. She lives nearby, and I felt proud that I got us there without getting lost. Then we took a little walk around our old neighborhood from five years ago, which is just one bridge away from this year’s flat. 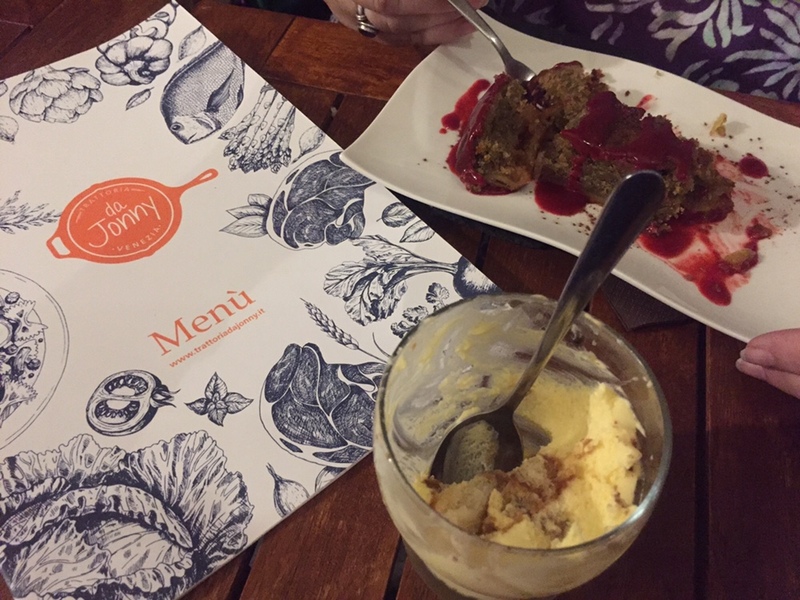 At the end of our walk, we stopped for our first Tiramisu of the trip at Trattoria da Jonny. The dessert was incredible! And we got to meet Jonny, a friend of our local friends, who was very welcoming. We look forward to trying more of the menu! Today’s #OneGoodThing was enjoying our first day in Venice with Mama! We are also immensely grateful to Elisa for the bread and cheese and fruit she left for us with our landlord, which sustained us today while we were resting! Day 256 of 365. And Day 987 in a row (here’s the first 366 & the following 365)! 5 years ago today: Where in the world? Big grin on my face, Gabriana, Jude and Paisley! As Yvonne, I will channel Venice through your posts!